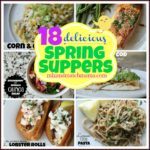 A Spring-y supper for you today! 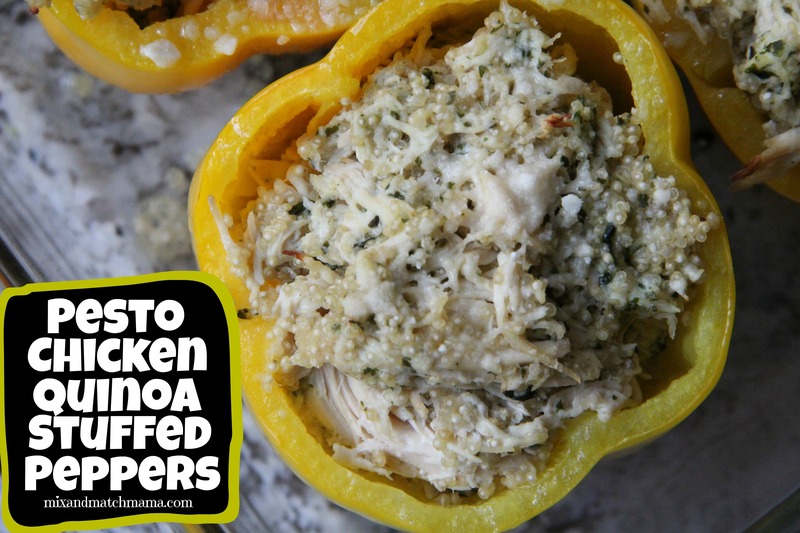 I filled these yummy peppers with shredded chicken, quinoa, pesto and Parmesan. Sounds fancy but is so simple! Slice the top off of each bell pepper and remove the ribs and seeds. Place all 4 bell peppers in an 8×8 inch baking dish. Drizzle EVOO over the tops of the peppers and bake about 10 minutes. Meanwhile, add your quinoa and water to a pot and bring it up to a boil. Once boiling, cover and reduce heat to low and continue cooking 15 minutes. In a mixing bowl, add in your shredded chicken, jar of pesto, Parmesan cheese and your cooked quinoa. Divide this mixture between your four bell peppers. Add just a little more cheese to the tops of each finished pepper. 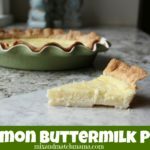 Pop the baking dish back in the oven and bake another 15 minutes. Lots of flavor, little effort! Oh I love this!! Totally doing this one! Wow! I made this for dinner tonight and we LOVED IT, including my 11 year old daughter!!! Shay, it was an outstanding dish, thank you! Ah!!! Thank you so much for telling me, Cheryl! I think this sounds yummy! I have a picky husband who won’t eat peppers unless they are diced. If I mix the peppers in with the rest of the ingredients like a casserole for him, how long would I cook it? Thanks for all the great food ideas! Ohhh! That’s a good idea too! He could also just eat the filling and use the pepper as the “bowl” without eating it. I would probably bake it around 20 minutes at 350 degrees. Made this last night and it was SO good!! Thank you!